My last shoot from the LBI beach portraits couldn't have been better- or more special. This session was a birthday gift for their mom. A celebration of who she is as a person and the beautiful family she calls her own. I'm pretty sure some great memories were made, in between the laughter and smiles. Enjoy! Simply in love with all of these images...enjoy the eye candy! What a gorgeous night we had for this beach shoot. The warm evening sun transformed the sky in to a soft pastel canvas by the time we finished playing in the sand, and dipping our toes in the water. Truly magical! My second shoot while in LBI was with my good friends and their family. We chose to switch it up this year, and headed to the light house for a change of scenery. As always, we had a wonderful time capturing great moments and memories! The first day we arrived to LBI, we headed to the beach. My kids haven't been to the ocean since last summer, and my son definitely didn't remember being here last year. Watching the excitement they had at first sight was such a fun gift. And I'm so glad I brought the camera with me- because I captured some of my favorite pictures of them! Happy to share my little cherubs with all of you! I'm so excited to share the first beach photo session from LBI! There truly is nothing like capturing the fun and memories made during summer vacation. Enjoy the preview! Here's the second shoot from my beach shoots in Connecticut yesterday. Love these two kiddos and their momma…we had lots of fun. Can't believe how big they've gotten since we began working together! A gift for the grandparents, who celebrated their wedding anniversary. I can't imagine a better present: everyone hanging out on the beach, making memories and taking pictures of three generation. Complete with champaign, I might add! I may have to copy this idea for my own family next year. What a great moment to look back on. So thankful to have photographed it! This shoot was a little different from what I'm used to, which is always a bit thrilling for me. The idea behind their portrait session was to capture who these boys really are; sports lovin' fools! Their passions are baseball (they're really good at it) and surfing (yep, they're cool). So we did a little of both and in the end, I think we succeeded in completing the goal. Memories made between two brothers, and images they'll cherish when they're older! New Jersey Family Photographer | Ryan turns 3! Ryan: a little super hero with a big personality. To say we had fun during this shoot is an understatement. Ryan came running right up to me (cape flowing behind him), and gave me an amazing welcome. The last time I saw him was 3 years ago- for his newborn shoot. So seeing him for this session was kind of a big deal, plus I photographed his parents wedding a few years back. I'm so excited to share this preview with you. It was a magical night! Here is the final beach shoot I did this past week. It was with our good friends, their parents and nephew. We got plenty of fabulous portraits, and I love that you can feel the happiness in these pictures. Enjoy! Another mix of beach and backyard fun from the Hamptons shoots this past week with Lucas and Penelope. I'm switching it up this time with black and white beach shots...some times it just feels so right! This past week was spent shooting families in LBI and the Hamptons (yes, I love my job). Here are one of my families from the Hamptons beach shoots. 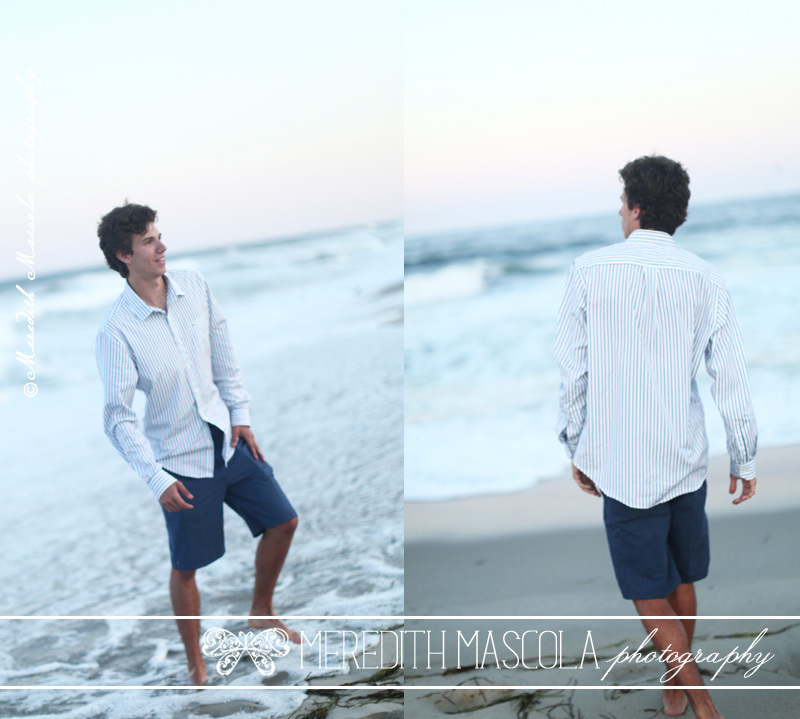 We had a beautiful evening and were able to take portraits at their house and at the beach. I love both settings so much, I just can't pick a favorite. Hope you enjoy these cuties! There's nothing quite like a baby at the beach in the summertime, and here's a perfect example. Loving that polka dot bathing suit, and those gorgeous hazel eyes!